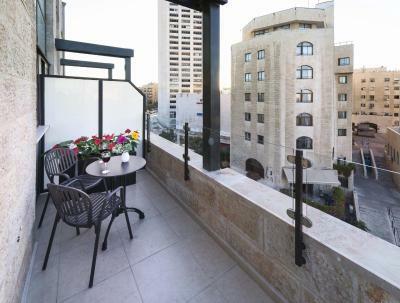 Lock in a great price for City Center Jerusalem – rated 8.3 by recent guests! 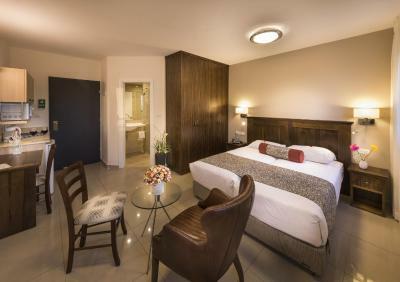 The location of this boutique hotel is fantastic, easy access and walking distance to Old City, markets, buses and trams. 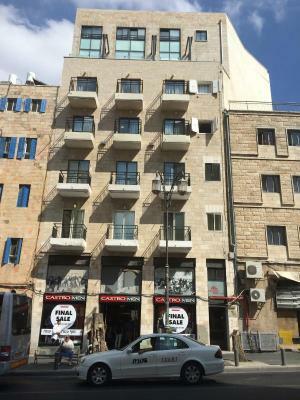 It is a block away from Jaffa Street, a quieter but still very lively neighborhood surrounded by many restaurants and takeaway food. The front entrance is very small, not easy to be spotted from the street. The room is exceeding my expectations. 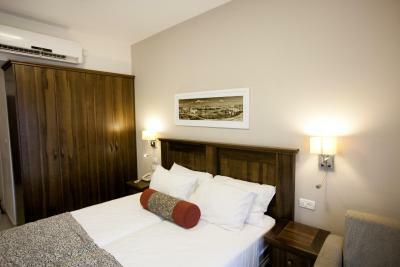 It has been renovated in a simple, modern and cozy style with a lot of nature light. 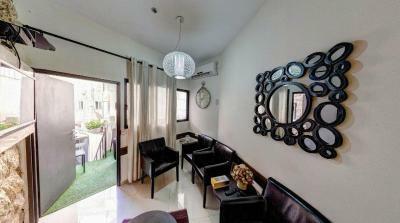 The room size is decent and has a closet, sitting area and small kitchen. My room even has a balcony facing King George street. There are 2 tiers of glass doors blocking the street noise from the balcony for night sleep. The hospitality is superb in all aspects. They reserved an airport shuttle service for our early flight so that we could have a stress free departure. I highly recommend it to all travelers. 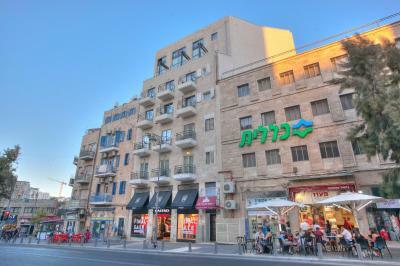 Great location in the center of Jerusalem, walking distance to old city. 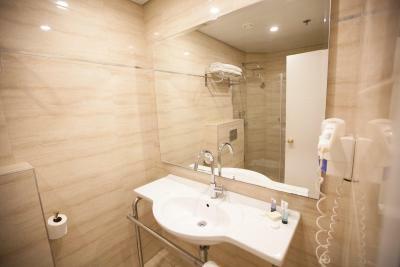 Very nice clean room, elevator, friendly staff. 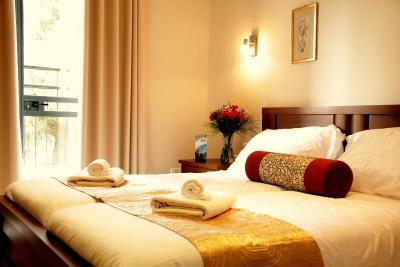 The front desk staff was very welcoming and helpful and the room was very comfortable and in a great location. 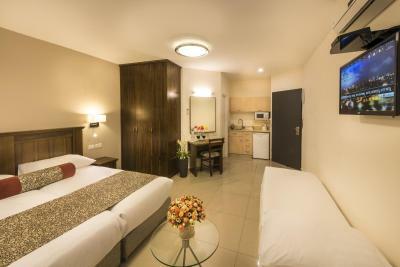 Spacious room, quiet, clean, well equipped. Very helpful front desk. 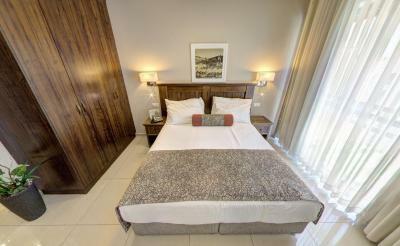 Great location and really nice and clean rooms! Highly recommended! I’m a frequent traveler because i do vlogging and my traveling somehow is tiring so i always look and need a good hotel room to rest in. 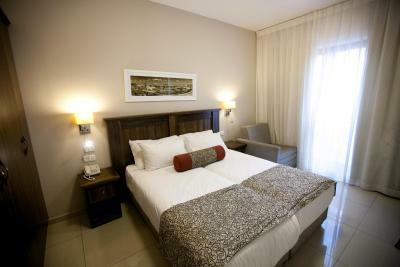 And i must say the City center hotel in Jerusalem has it all to feel at home , Relaxed with great peace of mind . I like the most is the staff . From the receptionist specially Gabriel they are all helpful and polite . And even the cleaners of the hotel is so nice and makes my room neat and clear everyday . 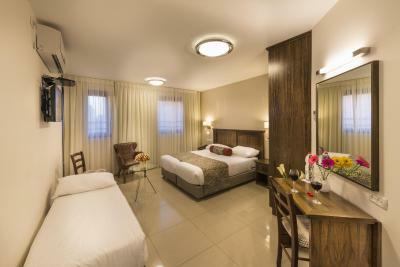 This is the best place to stay in Jerusalem 100% guaranteed ! 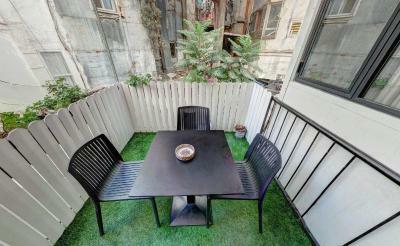 Good location - 15 minutes walk from the old city, clean rooms, kitchenettes, all necessary stuff. One of our best sellers in Jerusalem! 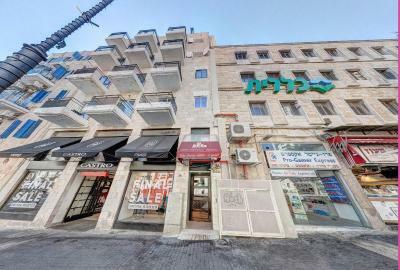 In the heart of Jerusalem, just 50 feet from Ben Yehuda Street, the City Center Jerusalem offers air-conditioned accommodations with a kitchenette. 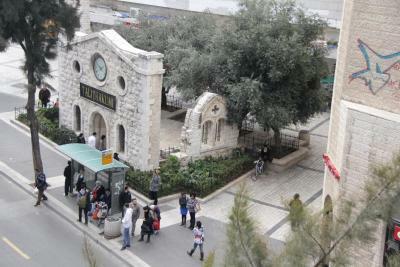 The Old City is a 15 minute walk away. 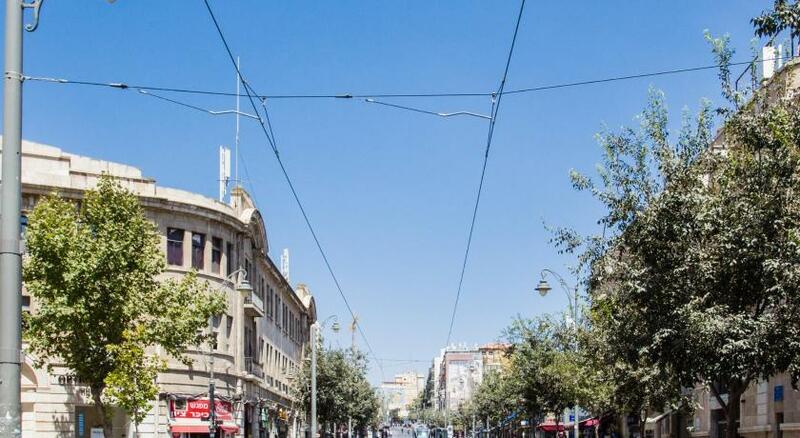 With great public transportation services, the City Center Jerusalem Apartment Hotel is a 3 minute walk from the nearest Light Rail stop. The Israel Museum, Yad Vashem Holocaust Museum and the Botanic Gardens are a 15 minute bus ride away. 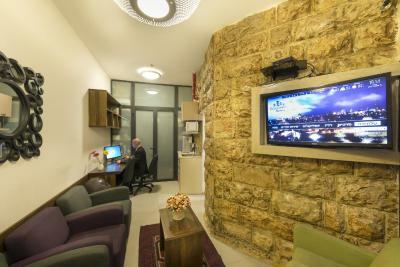 A flat-screen TV with cable channels is standard in all studios and suites. Each has a kitchenette with microwave, fridge and teakettle. Some studios feature a balcony. Pubs and coffee shops, together with bars and restaurants, are in the surrounding pedestrian zone known locally as the Midrachov District. Ben Gurion International Airport is a 30 minute drive from the hotel, and staff can arrange airport transportation upon request. 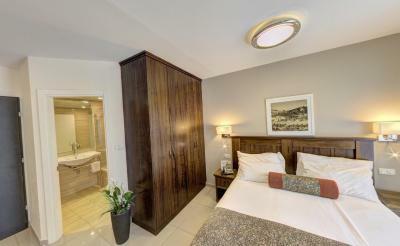 When would you like to stay at City Center Jerusalem? 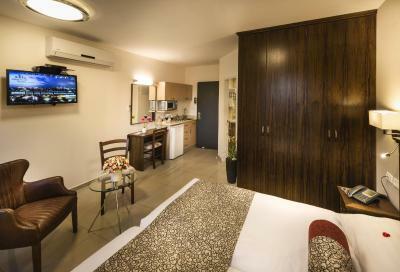 With kitchenette, a living area and free Wi-Fi, this room is located in the hotel's Hahistadrut Wing. Extra beds cannot be accommodated in this studio. This more spacious studio has a balcony. Wi-Fi is free. This room is located at the hotel's Hahistadrut Wing. Please note that this room type can have up to 2 extra beds. This room has a separate living and dining area. Wi-Fi is free. 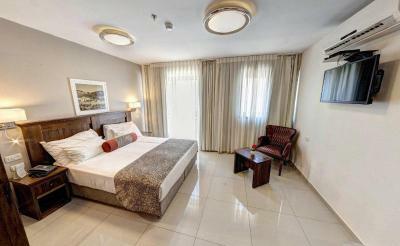 This room is located in the hotel's Hahistadrut Wing. 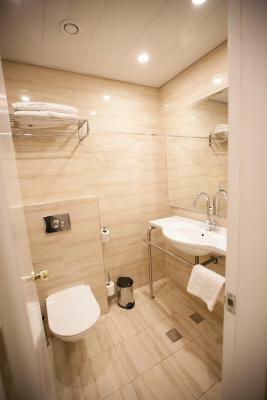 With kitchenette, living area and free Wi-Fi, this room is located in the hotel's King George Wing. 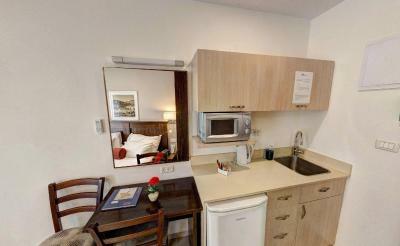 Located in the hotel's King George Wing, this studio features free Wi-Fi. 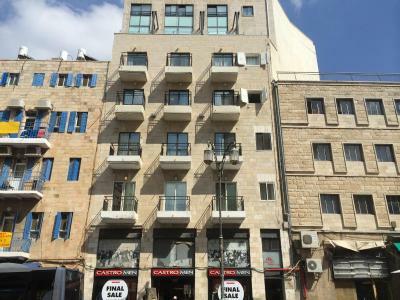 House Rules City Center Jerusalem takes special requests – add in the next step! One child from 0 to 2 years is charged ILS 34.59 per night in a crib. One older child or adult is charged ILS 86.47 per person per night in an extra bed. City Center Jerusalem accepts these cards and reserves the right to temporarily hold an amount prior to arrival. Based on local tax laws, Israeli citizens must pay VAT (Value-Added Tax). This tax is not automatically calculated in the total of the reservation, and must be paid at the hotel. Nothing! Everything was great. Even the prize was amazing thanks to a last minute deal. We enjoyed a fantastic stay. 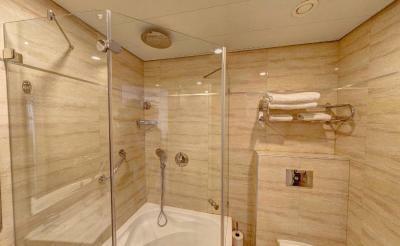 Facilities, cleanliness, attention from staff, luggage room, everything was just perfect. 24 hour reception so late arrival no problem. Luggage facility after checking out. Very clean rooms. Very convenient central location. Fridge sink and microwave very useful. AC turned it self on automatically. The room was good size, but with the horrible smell. The nights were cold in this time but we were compelled to sleep with the opened balcony because of this smell. The Hotel located in the walk-in distance fro the old town, market, public transport. Simply perfect, like a 4 stars hotel! WiFi kept dropping. I've informed reception about it and they said problem is known and nothing can be done. 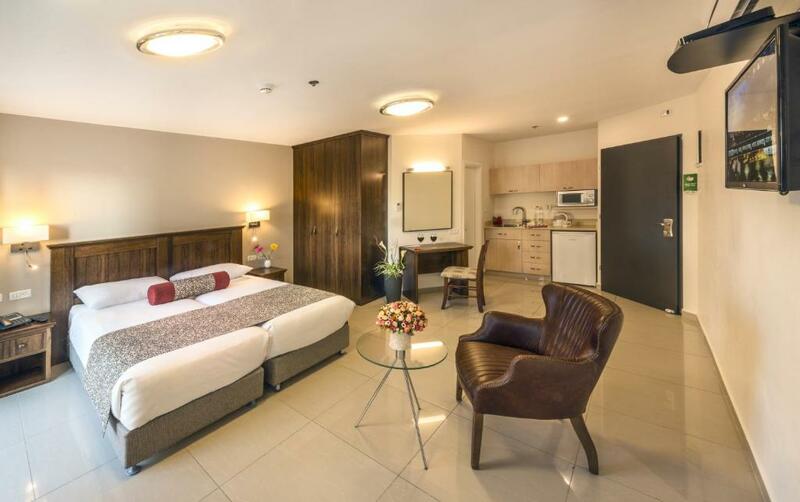 It was excellent, extremely friendly and helpful staff, room was clean and comfy, great location to visit all the tourist sites around, strongly recommended! The place was gorgeous, Small to get in but in the room it was wow. Gabriel the manager is so friendly and very professional. I'm surely come back to this hotel.